A new imaging technique that measurably improves upon current prostate imaging could have significant implications for how patients with prostate cancer are ultimately treated. The new method called restriction spectrum imaging-MRI (RSI-MRI) was developed by researchers from the University of California, San Diego School of Medicine, and University of California, Los Angeles. The new imaging approach is said to be more effective for localising tumours. "It provides a better target for biopsies, especially for smaller tumours," said the study's first author Rebecca Rakow-Penner, MD, PhD, a research resident in the Department of Radiology. The novel technique is featured in the latest issue of Prostate Cancer and Prostatic Disease. RSI-MRI is also valuable in surgical planning and image staging, according to David S. Karow, MD, PhD, assistant professor of radiology at UC San Diego and the study's corresponding author. "Doctors at UC San Diego and UCLA now have a non-invasive imaging method to more accurately assess the local extent of the tumour and possibly predict the grade of the tumour, which can help them more precisely and effectively determine appropriate treatment." Data show that in 2014 prostate cancer was the leading cause of newly diagnosed cancers in men and the second leading cause of cancer death in men. Contrast enhanced magnetic resonance imaging (MRI) is the current standard of care for detecting and diagnosing prostate cancer. MRI involves intravenously injecting patients with a contrast agent to highlight blood flow. Greater blood flow is often a requirement of growing cancer cells. When compared to surrounding healthy tissues, it is hoped that contrast enhanced MRIs will reveal the shape and nature of any tumours present. However, as the research team noted, many tumours do not significantly differ from surrounding healthy tissues with contrast enhanced MRI and so evade easy detection. An imaging technique called diffusion MRI measures the diffusion of water and has been a standard imaging technique in the brain and an emerging technique in the prostate. Cancer tissues are denser than healthy tissues and typically limit the amount and mobility of water within them. 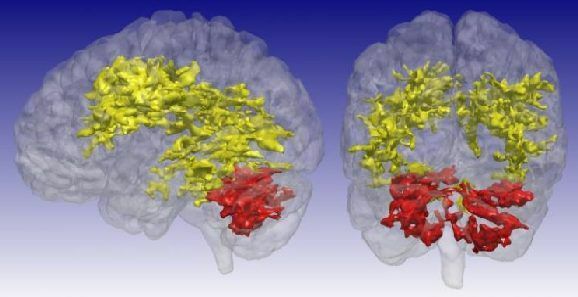 Notably, diffusion MRI suffers from magnetic field artefacts that can distort the actual location of tumours by as much as 1.2 centimetres or roughly half an inch. That is a significant distance when surgeons are attempting, for example, to assess whether a tumour extends beyond the prostate and into adjacent nerve bundles, the researchers pointed out. RSI-MRI corrects for magnetic field distortions and focuses upon water diffusion within tumour cells. As a result, the ability of imaging to accurately plot a tumour's location is enhanced and there is a more refined sense of the tumour's extent, said Nathan White, PhD, assistant project scientist at UC San Diego, study co-author and co-inventor of the RSI-MRI technique. The research team also noted that "RSI-MRI appears to predict tumour grade." Higher grade tumours correlate with higher restricted water volume in the cancer cells' large nuclei. "If by imaging we could predict the tumour grade, we may be able to spare some patients from prostate resection and monitor their cancer with imaging," said Robert Reiter, MD, professor of urology at UCLA. The study was funded by the National Institute of Biomedical Imaging and Bioengineering of the National Institutes of Health, the Department of Defense, Prostate Cancer Research Program, the American Cancer Society and the UC San Diego Clinician Scientist Program.